There are a number of floors you can choose from when you want to set up a basement living space in your home. Basement floors come in different materials, colors, and styles. 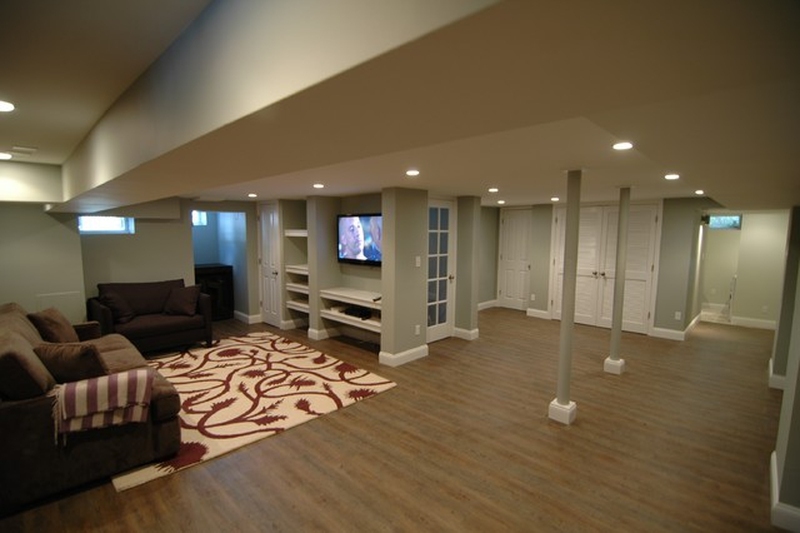 Here are some examples of the types of basement floors you can choose from. There are all sorts of carpeting available. You can tailor your choice of carpet to your personal style, as there are all sorts of colors and designs. You can also pick carpeting that suits your personal budget. Carpet is very easy to install, and it keeps your feet warm during chilly months. The disadvantage of carpet is that it stains easily and is rather difficult to clean. You must also keep carpeting material away from moisture or dampness, as it absorbs water easily and the moisture can ruin or damage the material. Cork flooring material is also good for chilly temperatures. It provides a cushion for your feet when you step on it. Cork material used for flooring is a lot more affordable that other flooring materials, such as wood or linoleum. It adds accent to your home’s natural quality. Unlike carpeting, cork flooring is resistant to moisture and mildew. It needs to be sanded and refinished every other year in order to maintain its quality. Wood flooring material provides a cozy and natural accent to your home. It adds warmth to the ambiance of your home and can be quite decorative. Be sure to buy high-grade wood. Low-grade wood is susceptible to damage or wood staining from contact with moisture or water from your basement. Ceramic tile is a very durable floor material. It is easy to maintain, affordable, and impervious to damage from moisture or water. You also have a wide variety of styles and colors of tiles to choose from. Ensure that the tile you choose suits both your decorative style and your budget. Ceramic tiles do not keep your feet warm; they actually stay cold during warmer weather. Linoleum is a more expensive flooring option, but high-quality linoleum is very durable and it provides bright color. It is not high-maintenance, and it does not need to be sealed or polished regularly. Vinyl flooring material is also a durable type of flooring. It is not susceptible to damage from moisture or water; however, the colors are not as vibrant compared to those of linoleum. Vinyl flooring is easy to clean and is not expensive. It is susceptible to tearing, which is difficult to repair. Be sure to purchase high-grade vinyl for lasting quality. Server responsed at: 04/24/2019 5:58 p.m.